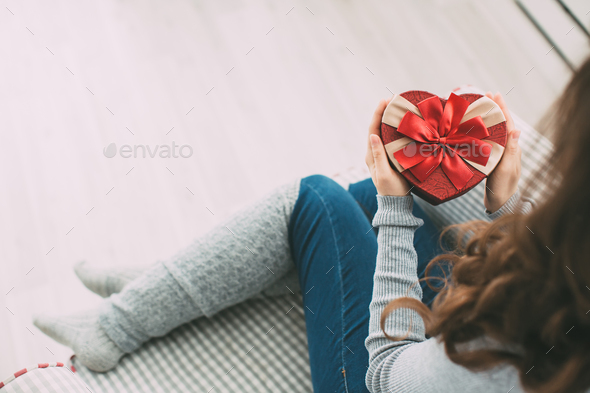 Female hands holding gift box. Female hands holding gift box. Valentine / birthday / new year. Top view photos.